OK, so this is still in what Microsoft refers to as “Preview” mode, i.e. it’s not yet “Generally Available” but it is on the outskirts of civilisation. 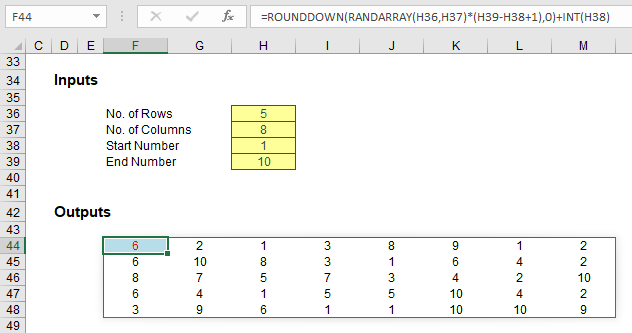 RANDARRAY is still a relatively new function found in some editions of the “Office Insider” programme which is an Office 365 fast track. 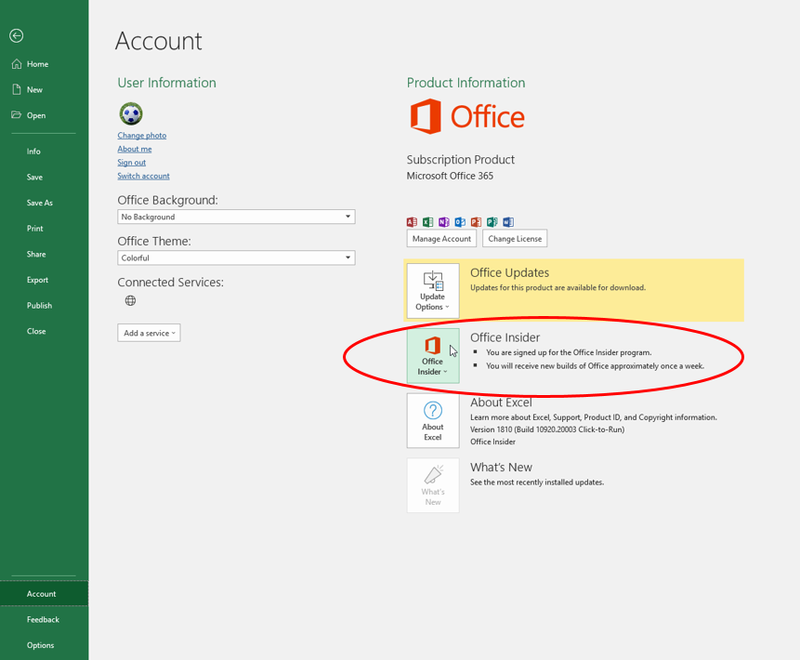 You can register in File -> Account -> Office Insider in Excel’s backstage area. Even then, you’re not guaranteed a ticket to the ball as only some will receive the new features as Microsoft slowly roll out these features and functions. Please don’t let that put you off. These features will be with all Office 365 subscribers soon. We first mentioned RANDARRAY back in September. Even though it’s not yet Generally Available, it’s already had a facelift. Oh yes – Microsoft is invested in these functions! 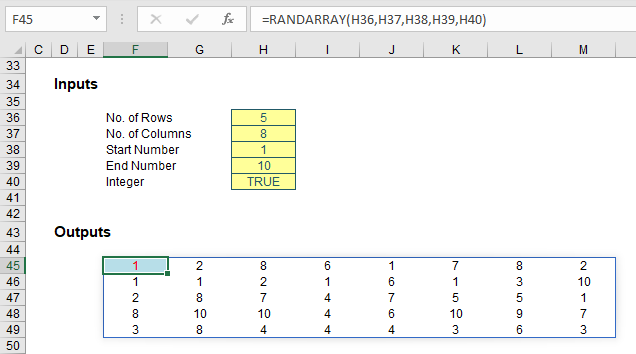 Originally, the RANDARRAY function returned an array of random numbers between 0 and 1. It’s not clear from Microsoft, analogous to the pre-existing RAND function, which generates a number greater than or equal to zero and strictly less than one. However, there was a general sense of underwhelm with this function and the new and improved version has just been released. It now allows you to set you own maximum and minimum and decide whether you want the values returned to be decimals (e.g. 17.4381672…) or integers (whole numbers). integer: if this is set to TRUE, only integer outputs are allowed; the default value (FALSE) provides non-integer (decimal) results. max must be greater than or equal to min, else the error #VALUE! is returned.